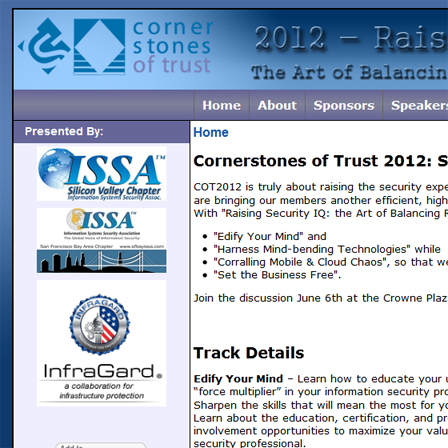 Things are really starting to pick up on the Cornerstones of Trust web development front. 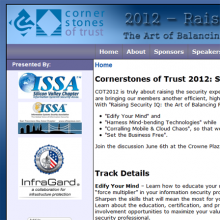 The conference is on Wednesday, June 6th in Foster City. There is a lot more going on on the backend as well.